Air filtration is receiving a lot of press at the moment. Air quality in general and indoor air quality in particular have been talked about in many trade magazines and publications. The London Assembly published “Air Quality and Health” http://bit.ly/2bLrGZ5 in which they discussed airborne particulates and the resulting “concentrations of air pollutants and how these affect health”. The majority of commercial office and public buildings (hospitals. Universities, schools etc.) will be thinking that their equipment is protected from the damaging impact of these pollutants. All modern air handling equipment will contain banks of filters, specified by the manufacturer to meet regulatory demands. This does NOT mean that they are the most efficient filter available and air filter suppliers are looking to replace this lower cost product for one that works more efficiently. 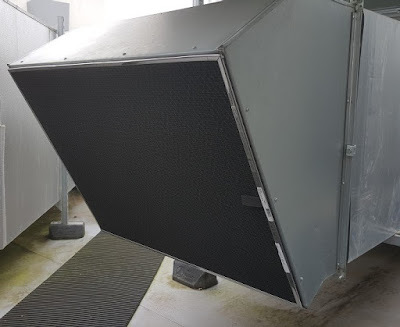 These filters will generally be more expensive than the original equipment specification but they will provide much better protection against the smaller pollutants. 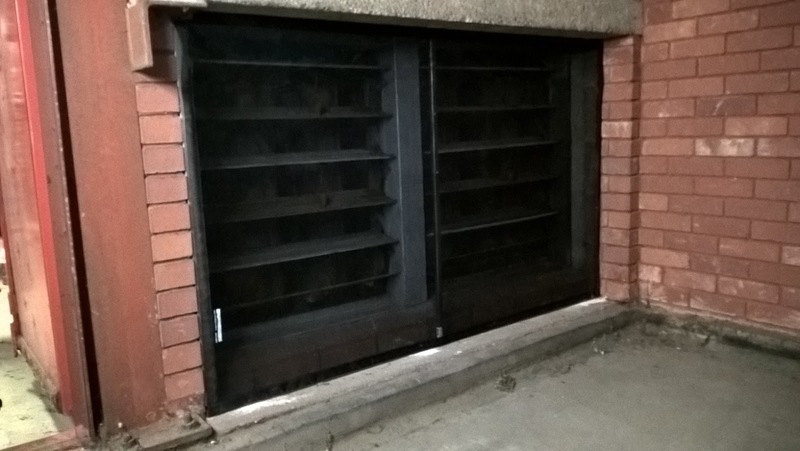 RABScreen are working to protect the disposable filters by taking larger particles from the airflow. This allows the more efficient product to do its job for longer saving both time and money. 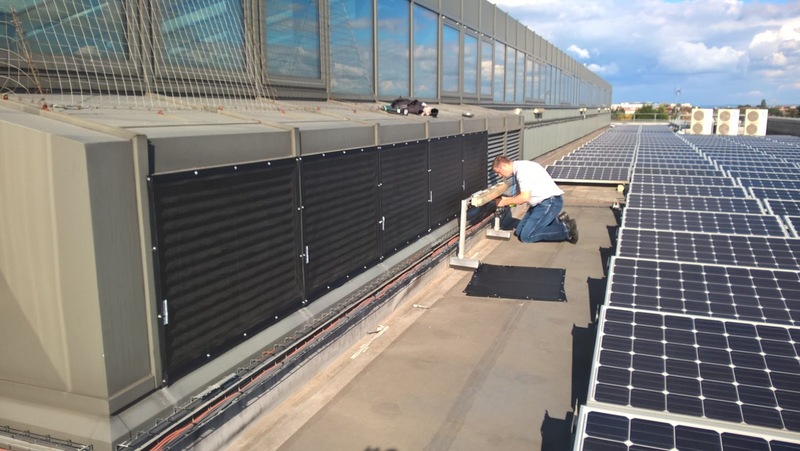 Also, the RABScreen will protect cooling and heating coils by reducing the impact of the airborne debris that causes coil clogging. 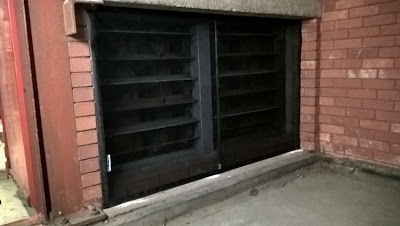 An intake plenum at Bristol's Southmead Hospital now protected by a RABScreen. 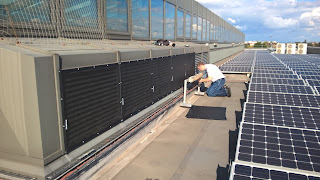 AHU supply air intake at Tewkesbury Hospital. Cleaner air and improved filter life with the advantage of frost coil protection. Clogged coils increase the energy required to meet design criteria as the fins need clear, unobstructed airflow to work effectively. Typical ROI for coil protection is less than 6 months with additional savings from reduced labour and chemical use. It is a win, win situation. Better disposable filtration = improved indoor air quality. Additional external filtration = labour, time and energy savings.